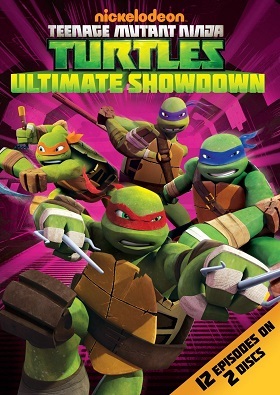 In this episode, April is threatened by an old lady, Baxter Stockman creates legs for Xever/Fishface, Karai creates a kitty/octopus monster named Justin, Shredder learns about the existence of the Kraang, the turtles learn about the existence of Karai, Leonardo learns a lesson about trusting women (that’s messed up, right? ), the Kraang reach a highly undesirable outcome, and Dogpound finds the whole thing very entertaining. The title character of this episode is a pudgy nerd who saw the turtles fighting Baxter Stockman in an earlier episode, and decided he could be a hero too. The episode makes it very clear that, no, no, no, that doesn’t work like that, and that if you want something, you have to put in the time and effort to get it; foam rubber muscles are no substitute for the real thing. “I suppose Kraang has once again been foiled by turtles and failed to retrieve that which Kraang was to retrieve.” “Kraang is wrong. Kraang has retrieved it. In Kraang’s face.” I think that about says it all. This episode features multiple allusions to a James Cameron movie starring Arnold Schwarzenegger. I’m not sure, but I think it was called True Lies. Anyway, I have to feel sorry for the titular cockroach; he seemed so happy to help the turtles spy on the Kraang, until Raphael accidentally caused him to mutate. Really, this is all Raphael’s fault. Taking a brief break from the Kraang, the Foot decide to menace the turtles for an episode. Baxter Stockman is tired of being disrespected by the duo of Fishface and Dogpound, so he channels his inner Arcade to create a deathtrap for them and the turtles. The mutants are forced to work together, and Xever/Fishface reveals his origin story to Raphael.